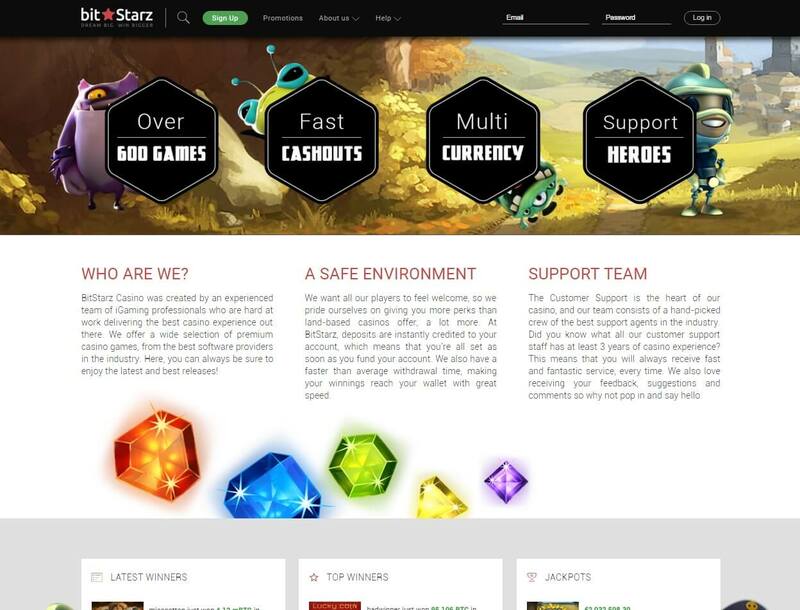 BitStarz is an online casino that was launched in 2013. It currently only supports Bitcoin as the primary mode of payment, but it already has plans of accepting several cryptocurrencies to open its gambling services to a wider audience. This gambling platform stands out from the rest because it regularly rolls out updates that significantly upgrade the betting experience it provides. 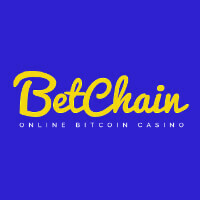 Before, it only features games supplied by the Bitcoin casino software of SoftSwiss. Now, it also benefits from the technology of two more software providers, Ezugi and Amatic. 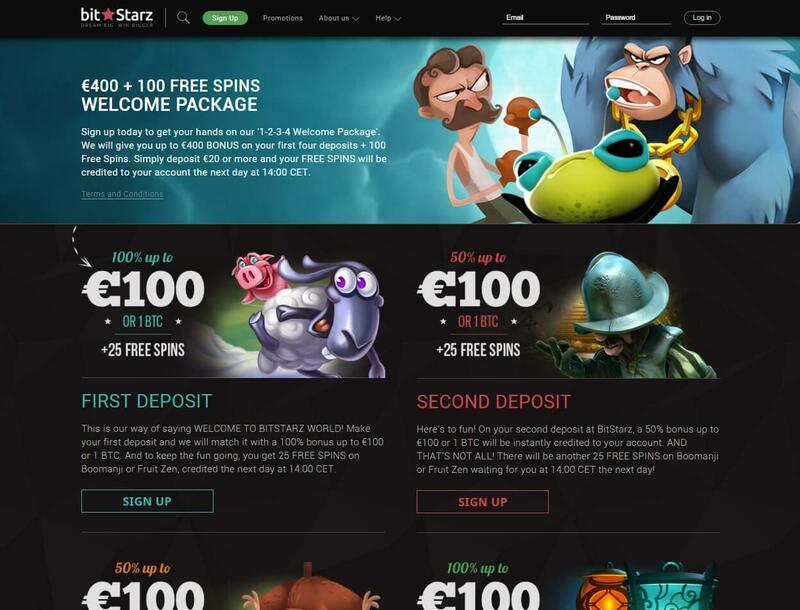 While SoftSwiss is responsible for the majority of the casino games, including Bitcoin roulette, blackjack, baccarat, and a series of poker games and slots, BitStarz also relies on Amatic when it comes to the Bitcoin slot games that are commonly found and hosted in land-based casinos. Ezugi, on the other hand, is responsible for the live dealer casino that allows for betting on blackjack, roulette, baccarat, and even lottery in a realistic casino environment. With so many ways to play Bitcoin roulette, as well as wagering on other exciting games, there is no doubt that this website is a great venue for quality entertainment. What makes gaming here more appealing, though, is the fact that all of the SoftSwiss games have provable fairness. Thus, there is absolutely no reason to doubt whether or not the games are rigged or reliable. While the other games are not covered by the provably fair system, the games are guaranteed to be trustworthy nevertheless through the use of a certified random number generator. 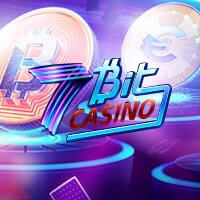 Aside from the extensive game library that highlight verifiable fairness, this Bitcoin casino has also done a great job in supporting mobile gambling. Thanks to the HTML5 optimization, wagering on your favorite games using your smartphone and tablet is possible, enabling you to maximize your potential to win and the opportunity to have fun even on the go. 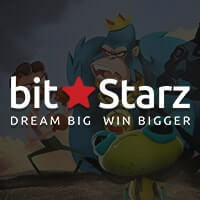 Moreover, BitStarz offers an enticing set of bonuses and promotions. First on the list is the 1 BTC Welcome Package, which can be acquired upon completing your first three deposits. All in all, a total of 175% deposit bonus can be yours. 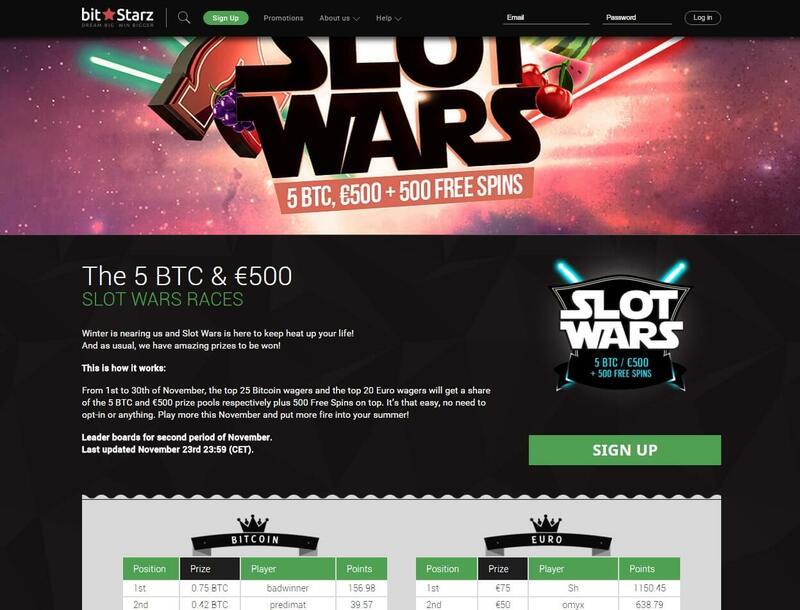 As of writing, it holds a weekly slot tournament that gives you a chance to win the 1 BTC prize. Likewise, it features monthly promotions, so it is advised to always keep an eye on this casino’s surprises. Meanwhile, transferring funds here should be a breeze. You may, however, have to wait for around or a little more than an hour—or after six confirmations—before your withdrawals are delivered to your wallet address. Just make sure that you are cashing out at least 0.005 BTC. If you are depositing, on the other hand, there is no need to wait before your balance receives the credit. 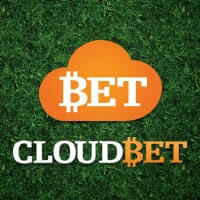 Simply fund your account with a minimum amount of 0.01 BTC to begin enjoying the games here. 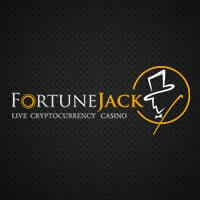 When it comes to customer support, this Bitcoin casino fares well. They can easily be contacted through the Live Chat and they respond quickly to every question asked. Overall, this online casino deserves almost a perfect score, if not for the lack of provable fairness in some of the games. Also, it would be better if it will start supporting other languages to cater for more players. 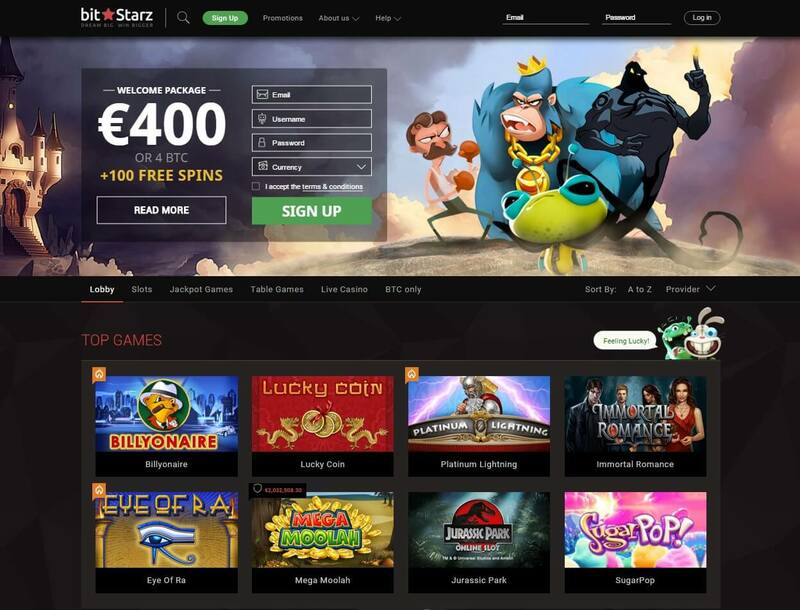 Nevertheless, BitStars is already an amazing Bitcoin casino that should be on the top of your list of gambling platforms.